Producers behind a musical theatre show at the Royal Albert Hall have been forced to apologise after coming under fire for promoting the show with all-white performers. 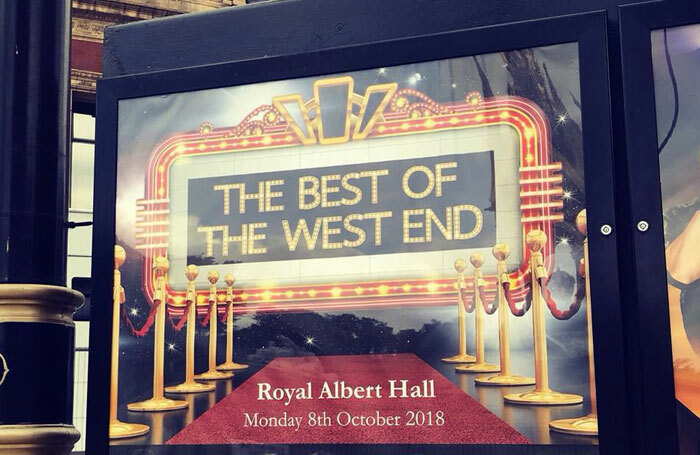 A poster for the Best of the West End concert promised a “stunning collection of some of the greatest stars in musical theatre”, and displayed 11 performers including Michael Xavier, Ben Forster and Lauren Samuels. It did not feature any performers from black, Asian or minority ethnic backgrounds, and was roundly criticised on social media by figures including School of Rock actor Preeya Kalidas . Seventh Sense has since said the show, which takes place in October, will include “many BAME performers”. A statement said the company accepted that its marketing was not representative of the diversity of its 100-strong cast, but had been put together based on artists confirmed at the time. “We would like to reassure everybody that we are a fully inclusive organisation and we would never intentionally exclude BAME artists from our shows. Indeed, all our previous shows have featured BAME performers in lead roles. “We would like to assure you that a number of BAME artists have been approached for lead roles for this performance but we have not yet been able to secure their services,” the statement added, attributing this to artist schedules, availability and budget. Responding to Seventh Sense’s statement, Kalidas said: “I find it deeply disappointing that in 2018 we are still talking about the lack of diversity represented on stage. The Best of the West End line-up is a prime example of this.